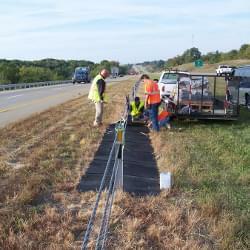 The Weed Mat, from TrafFix Devices, is the ideal solution for controlling weeds along roads and highways. 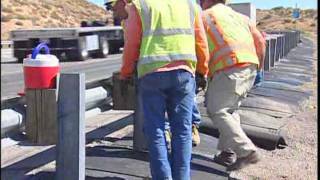 Buy the Weed MatThe Weed Mat can be installed under guardrails and temporary or permanent cable barriers along roads and highways. The environmentally friendly Weed Mat is made of 100% recycled rubber and reduces, or completely eliminates, the use of chemicals or herbicides to control weed growth. 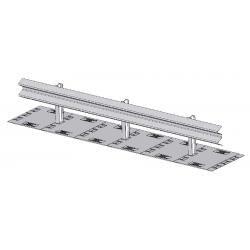 In addition, the Weed Mat is UV stabilized, flexible, and easily conforms to contours of uneven ground. 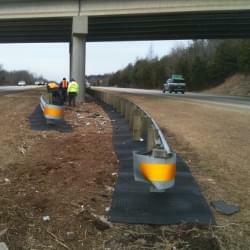 Installing the Weed Mat only takes a few minutes and requires no special tools or equipment. 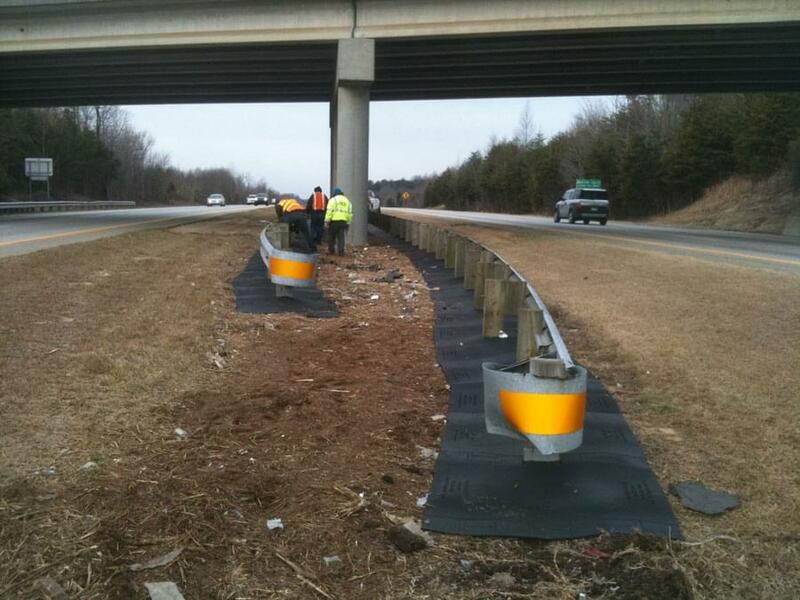 The Weed Mat easily installs under existing cable barriers and guardrails without the need for special equipment, expensive site preparation, or soil removal. 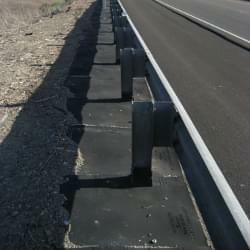 Unlike concrete or asphalt aprons, Weed Mat's flexible design and construction does not inhibit the energy absorbing qualities of the guardrail post and allows guardrail post movement within the soil after an impact. 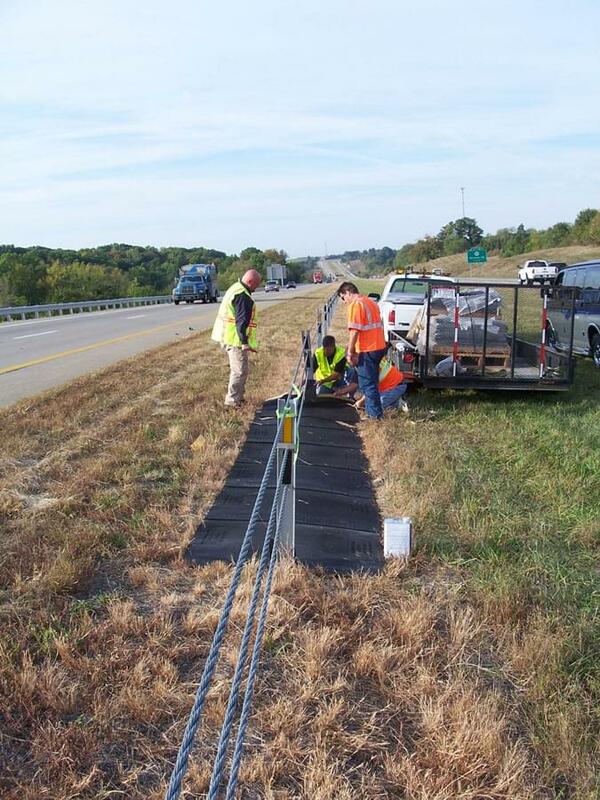 Weed Mat's heavy duty construction not only controls the weeds, but also helps reduce soil erosion and containment of heavy metal contaminated roadside soil all while being virtually maintenance free. Weed Mat is made from 100% recycled tires. 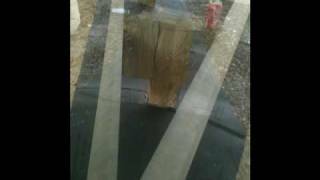 One 48" × 43" Weed Mat removes 10-12 tires from the land fill. 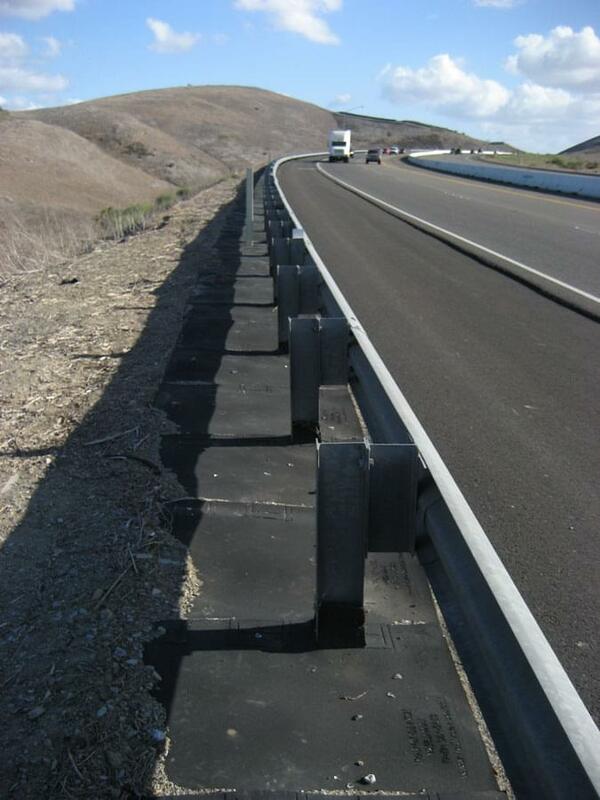 One mile of Weed Mats saves approximately 18,000 - 20,000 tires from going into land fills! Spraying toxic herbicides or chemicals for weed control is not only expensive and dangerous, it's not good for the environment! 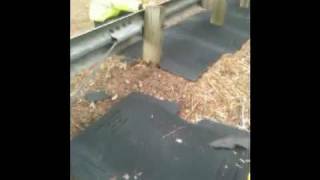 The TrafFix Weed Mat reduces or completely eliminates the need to spray.